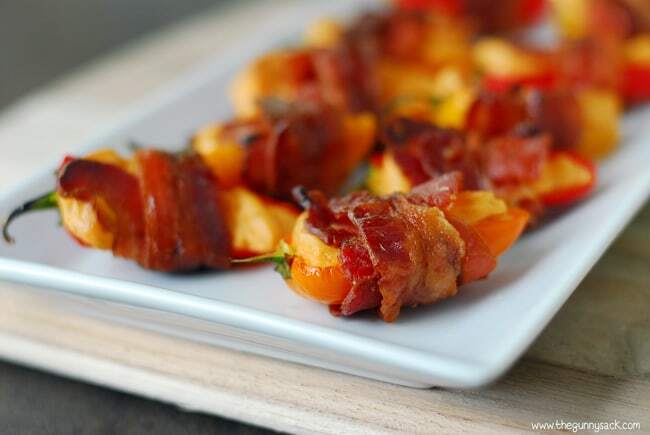 Spicy Bacon Wrapped Sweet Peppers are an easy appetizer to make when entertaining for the holidays. Everyone will love the combination of flavors. This post brought to you by Texas Pete. All opinions are 100% mine. Please tell me I am not the only one who loves appetizers. There are times when I order appetizers as my meal at restaurants. We recently went out to eat with a big group of friends and the mouthwatering appetizers completely outshined the main dishes! 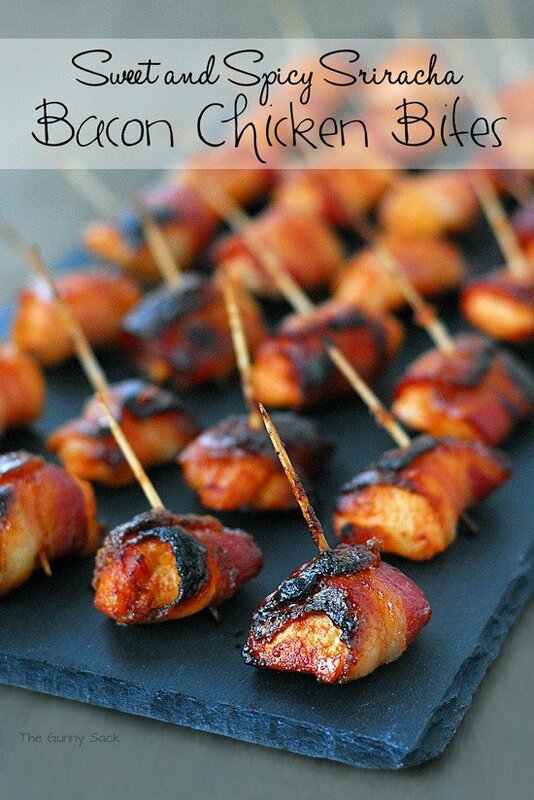 I like it when appetizers have a lot of flavor, some spice and of course, bacon is always a bonus. 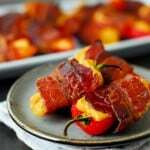 Today I want to share a recipe for Spicy Bacon Wrapped Sweet Peppers that is perfect for the entertaining. The sweet peppers add flavor and beautiful color to the dish. Inside is a creamy mixture of Texas Pete Hot Sauce, cream cheese, and ranch dressing! Then, everything is wrapped in a piece of crunchy bacon. The combination is fantastic. 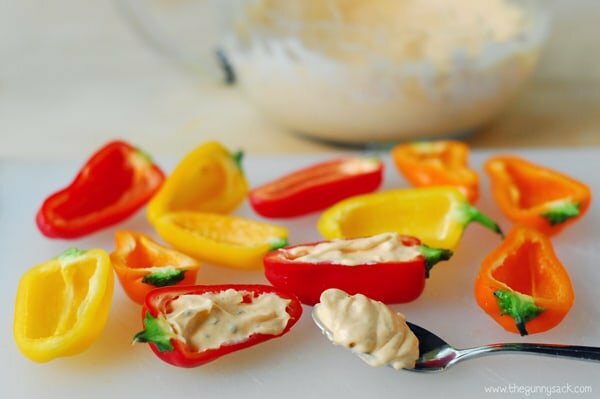 To make this appetizer, you will need mini sweet peppers, cream cheese, fully cooked bacon, powdered ranch seasoning and Texas Pete Hot Sauce. Add the hot sauce and the powdered ranch dressing. Cut the sweet peppers in half and fill them with the cream cheese mixture. 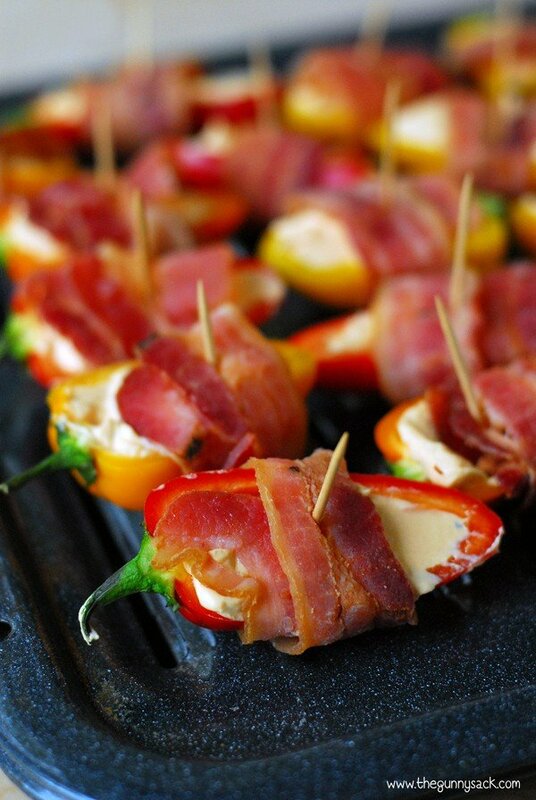 Wrap each pepper with a piece of bacon and secure with a toothpick. Bake at 350˚F for 25-30 minutes on a broiler pan. Remove the toothpicks and serve immediately. Everyone will love the combination of the creamy filling with hot sauce, sweet peppers, and bacon! 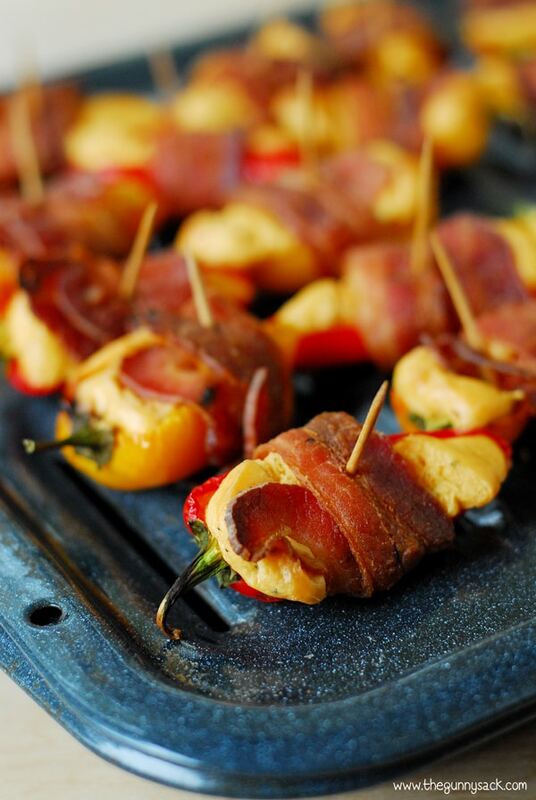 Spicy Bacon Wrapped Sweet Peppers are an easy appetizer to make when entertaining for the holidays. Everyone will love the combination of flavors. Beat the softened cream cheese until smooth. Add the hot sauce and the powdered ranch seasoning. Mix until well blended. Bake at 350˚F degrees for 25-30 minutes on a broiler pan. Hi These look delicious!! 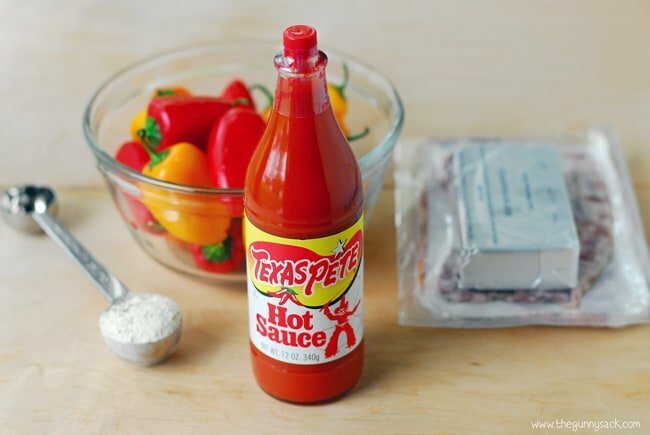 Is there some thing I can substitute for the Pete’s Hot Sauce? My family does not like hot!!! 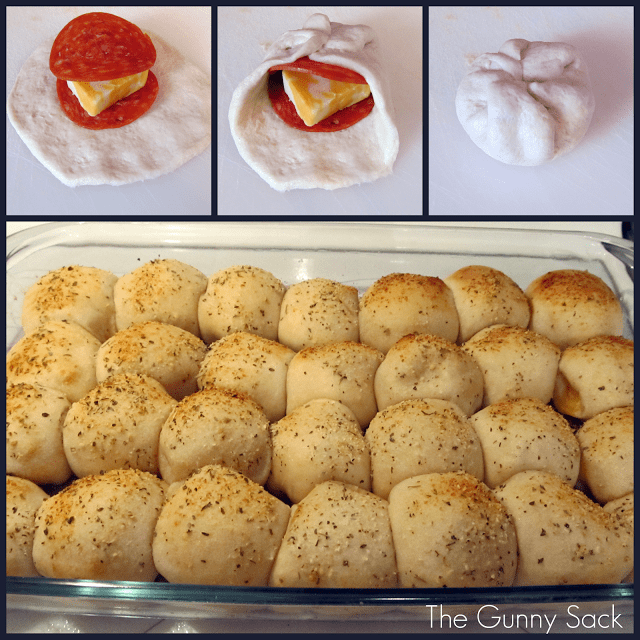 Thanks, can not wait to make these!! I was looking for a yummy “low carb” dish and this looks great and I will try today! Thanks Mary! I’m happy you found one that you can use! 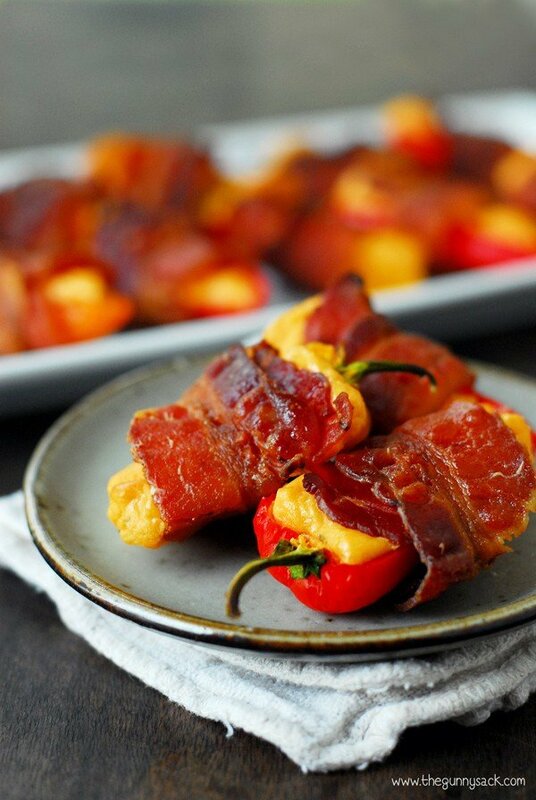 I can imagine how good these bacon wrapped sweet peppers tasted.. definitely a recipe I can see myself recreating it, thanks for sharing! 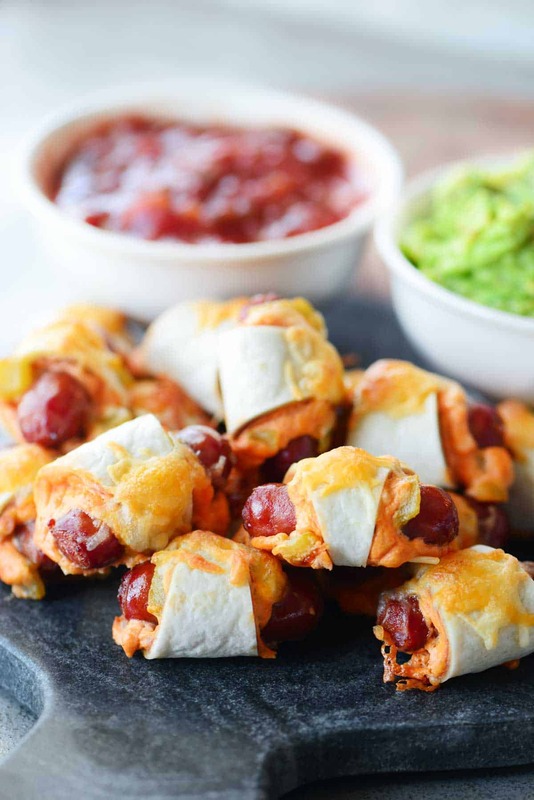 The perfect snack for game day or movie night! Anything with bacon, spice and cheese is a win! I would be happy eating these as my meal, they look awesome! These sound so good. Thanks very much for the nice recipe. These look delicious! I love those little mini peppers!